The cryptocurrency market is currently in the midst of a major sell-off, with Bitcoin, Ethereum, and virtually all altcoins plummeting in value. The loss of over $40 billion from the cumulative cryptocurrency market cap over the last week hasn’t deterred some of the largest companies in the blockchain industry from looking toward the future, however, with major trading platforms announcing plans to go public. Rumors of IPOs from cryptocurrency platforms such as Binance, Bitmain, and Robinhood have captured the attention of crypto investors and traditional market investors alike over recent months. Cryptocurrency mining giant Bitmain hinted toward a Hong Kong-based IPO in June, potentially following in the footsteps of competitor Canaan Creative, who filed for a $1 billion Hong Kong-based IPO in May. Major mining companies may be ready to launch within the traditional stock market, but cryptocurrency exchange platform Binance remains hesitant. Responding to community speculation regarding the recent addition of a new CFO to the Binance executive team, Binance CEO Changpeng Zhao has officially stated that the exchange has no plans to launch an IPO. Binance may not be ready to go public, but “zero commission” cryptocurrency trading platform Robinhood appears to be. In a recent talk at the TechCrunch Disrupt SF event, Robinhood CEO Baiju Bhatt revealed that the stock and cryptocurrency trading platform is preparing to launch an IPO and is currently searching for a qualified CFO that would allow Robinhood to go public later this year. 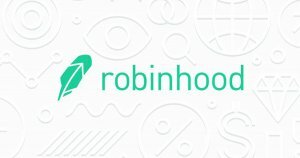 The Robinhood platform has already captured $539 million in private investment rounds from investors that include Kleiner Perkins, Sequoia, Andreessen Horowitz, and Google’s Capital G, boasting a three-tiered monetization stream that capitalizes on the sale of order flow to exchanges, a paid subscription model, and the interest held in Robinhood user accounts. In addition to facilitating cryptocurrency trading, Robinhood also allows users to buy and sell stocks, ETFs, options, and American depositary slips receipts of international companies. Robinhood may not be a crypto-specific trading platform but boasts over 5 million active users of which crypto traders are a significant portion. Bhatt stated at Disrupt SF that the capital generated from the potential IPO will be used to accelerate product expansion, developing Robinhood infrastructure, and expanding the platform’s talent pool. Robinhood isn’t the only crypto exchange considering a public offering. Coinbase CEO Brian Armstrong discussed the potential of a Coinbase IPO at the TechCrunch Disrupt SF 2018 event, stating that while the exchange platform is self-sustaining and has been profitable for “quite a while,” he’d “never say never” to the possibility that Coinbase may run an IPO. Armstrong’s perspective on going public, however, appears to look beyond the current funding and stock trading paradigm. In the future, states Armstrong, any company that has a cap table should have its own token. Charities, open source projects, funds, and even decentralized organizations will possess their own crypto tokens — Coinbase, according to Armstrong, aims to function as the bridge between fiat currency and the future of tokenized companies. A rapid increase in the use of tokens by companies would see Coinbase listing hundreds of tokens within the next few years, states Armstrong, and potentially millions in future. On such a platform, companies would list stock in the form of tokens, with a tokenized cap table replacing the traditional cap table model.